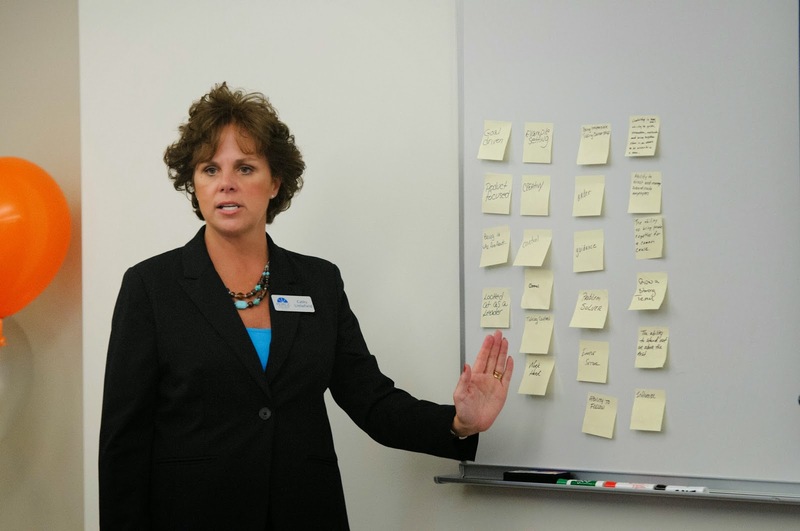 Cathy Littlefield shares her time management tips. As an Associate Professor in Organizational Leadership & Management in Graduate Studies here at Peirce, I spend most of my time interacting with our students and can see firsthand the challenges they sometimes face while trying to balance family, school work, and full-time jobs. Communicate with your instructor. If you are unclear about what is expected of you for any assignment, it could cause you to spend time spinning your wheels and working on the wrong things. Always understand what is required of you so you can use your time as wisely as possible. If you’re ever unclear about an upcoming essay, piece of group work, or deadline, get clarification from your professor immediately. Typically a phone conversation is the best way to have a quick dialogue and get the answers you need. Take advantage of your down time. Academically, one of the ways to avoid burnout is to take advantage of those down times in the day—the times when you have already completed your work for the week. Take a breather and a moment to enjoy whatever it is that you enjoy doing -- whether it’s time with your family or taking a walk, do something that brings you a sense of relaxation. Decompression can easily happen on the train or bus ride home from class or while watching your favorite TV show before bed. Whatever it might be, take that opportunity to recharge yourself. Allocate the accurate amount of time necessary to get things done. If you put something on your calendar, be sure to take into account things like traveling to and from class or meetings. It’s important to be accurate in your assumption of how long it takes to complete a project. When it comes to completing school assignments, my advice is to eliminate distractions from Facebook, Instagram, email, and games while working on school work, but I also suggest you triple the amount of time you think it will take you to complete a given assignment . If you are planning on writing a paper in two hours, triple that time and allow time for getting your thoughts organized, writing, proofing, and proofing again . Telling yourself that you must finish an assignment in X number of hours will only add more stress while potentially taking away from the quality of work – evaluate each task individually and honestly. Utilize mobile apps to stay organized and prioritize. In today’s age, we all have a phone within hands-reach.. There are so many free apps that you can download to keep you on track, such as Google Calendar. Download the app of your choice and create a to-do list that you can take a look at on a regular basis. As far as academics go, know your class syllabus inside and out. Add due dates to your mobile calendar and always be looking ahead. Using electronic devices to prioritize tasks is a great way to keep track of what you have to get done and when. Find what works for you. Everything I’ve mentioned above -- calendars, to-do lists, mobile apps, or a combination of these – simply might not work for everyone, and that’s OK. You have to use the tools available to you in a way that’s conducive to your lifestyle. In a room of 100 people, you probably have 50 different ways of organization, or more! Talk to people and ask them: “How do you do it?” Find out what someone else does—chances are it’s simple but you just haven’t thought of it! And finally, my biggest piece of advice: Remember that life happens! While many situations are out of your control, do your best to keep your instructor and peers informed and prepared for unexpected situations. I recommend keeping a bag of assignments or books with you at all times. If you can steal away even 15 minutes to focus on them, do so! At the same time, learn to say no, and realize that you don’t have to be everywhere at every moment. This is a challenge for most students, but especially graduate students who are in a constant balancing act. Prep your family and friends by telling them that you will make it to as many things as you possibly can, but you can’t make it to everything. The people who support you will still support you and your endeavors, regardless!